On Wednesday, September 21st, The Committee for a Responsible Federal Budget (CRFB) along with the New America Foundation, the Concord Coalition, and the Bipartisan Policy Center, held a forum that brought together political, economic, and business leaders from across the spectrum to discuss the path ahead for the Joint Select Committee on Deficit Reduction (Super Committee) and the reasons it should exceed its mandate and "Go Big." Event participants were Sen. Mike Crapo (R-ID), Federal Reserve Chairman Alan Greenspan, Co-chair of the National Commission on Fiscal Responsibility and Reform Erskine Bowles, Sen. Mark Warner (D-VA), former Congressional Budget Office and Office of Management and Budget Directors Alice Rivlin and David Stockman, former Senator Pete Domenici, Business Roundtable President John Engler, Honeywell CEO Dave Cote, former Chairman of the House Budget Committee John Spratt, Committee for Economic Development President Charles Kolb, former Congresswoman Jane Harman, former AARP CEO Bill Novelli, President and CEO of the American Gas Association Dave McCurdy, and former Service Employees International Union President Andy Stern. Participating by video were former Senators. Charles Robb, Alan Simpson and Judd Gregg, former Council of Economic Advisers Chair Christina Romer, former Congressional Budget Office Director Doug Holtz-Eakin, Gov. Mitch Daniels, former Gov. Christine Todd Whitman, Rep. Steny Hoyer (D-MD), former Young & Rubicam CEO Ann Fudge, New York Times columnist David Brooks, former Comptroller General David Walker, and former Commerce Secretary Pete Peterson. Go Big: If the Super Committee is going to go to all this hard work and come to some compromise, it should actually fix the debt problem. One and a half trillion dollars in savings doesn’t stabilize the debt and put it on a declining path. Go Long: Any solution must address the long-term drivers of debt. Stabilizing the debt and putting it on a declining path will require a medium and long-term approach that is also mindful of the short-term needs of the economic recovery. Go Smart: The final plan should focus on public investment, not consumption, and should also aim to fix the tax code. Bowles was the first to respond. His response was, essentially, that the Super Committee doesn’t have any choice, and that its target should be at least $4 trillion in savings, otherwise the country's future is bleak. Bowles hit on some of the same themes as MacGuineas in her opening remarks. He noted that the Super Committee must be smart and be wary of the fragile economy, protect the truly disadvantaged, invest in things like education and infrastructure, and fix the tax code in part by getting rid of tax expenditures to reduce rates and pay down the deficit. 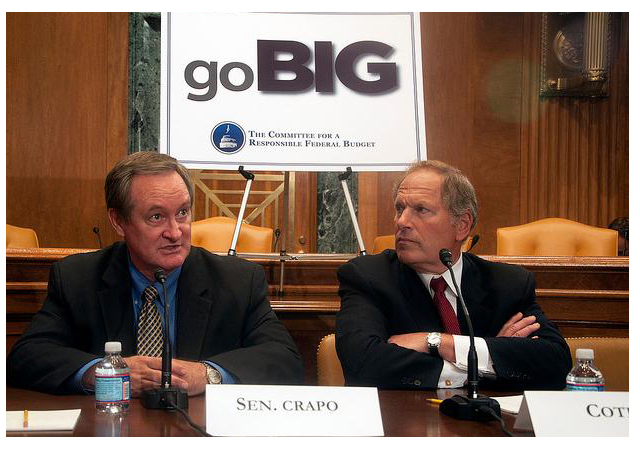 Next, Crapo addressed whether Congress has the capacity to "Go Big". 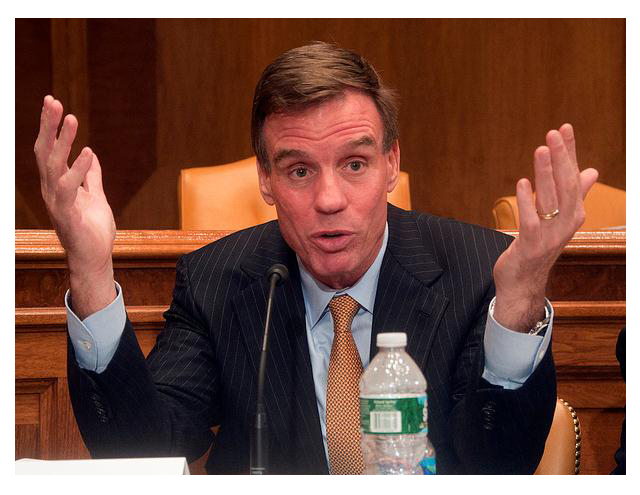 His response was “gridlock is not an option,” so yes, Congress can "Go Big". Though he further noted that it would be difficult in the toxic political climate, lawmakers must act and should seek at least $4 trillion in savings. He added that the Super Committee’s mandate gives it broad powers, thus there is a real opportunity to truly reform tax and fiscal policy in a way that will grow the economy. Honeywell CEO Dave Cote responded next. 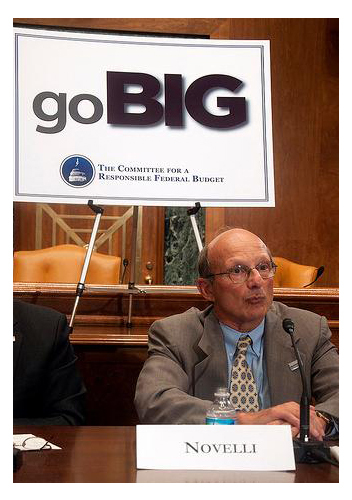 Adding a business perspective, Cote was in agreement with the need to go bigger than $1.5 trillion. Noting that the United States continues to act like it did 20 years ago when it still was the single biggest player in the global economy. 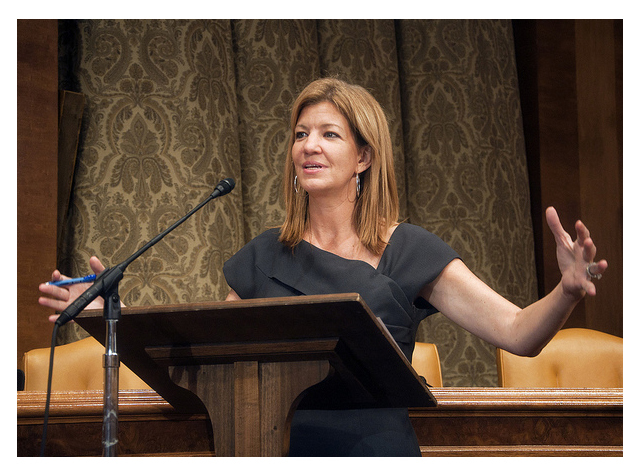 He argued that lawmakers need to craft an American competitiveness agenda to fit with today’s global economy. Cote was distressed that leaders have had so much trouble in addressing glaringly obvious problems, noting the Simpson-Bowles Commission presented a glaringly obvious solution. Finally, he commented that if lawmakers pursued the path of deficit and debt reduction in $1.5 trillion bites, then they are going to have to go through this difficult and painful process as much as six more times. Rivlin concluded the first round of questioning, starting with the observation that while we need to address the deficit, it needs to be done carefully so the economy can get back on track. But if, as a country, we don’t address the deficit problem, others around the world are going to think the U.S. government is incompetent. The Super Committee was given extraordinary powers, which offers a unique opportunity to really implement some needed reforms (such as in the tax code) while at the same time getting the deficit under control. MacGuineas posed the next question, asking how to pair debt reduction with spurring economic growth. Crapo discussed a meeting he had recently with five well-known economists, and their take that current debt levels were already a drag on the economy. Therefore, beginning to address the problem immediately would also help spur growth. Cote added that we really need to get serious about where our future spending will be, primarily in health, where we face a demographic time bomb as the population ages. Rivlin added that since it will take time to actually see savings from health, retirement and tax reform, starting to fix those things now won’t harm the economy in the short term. Rounding out the first panel, the final question dealt with what sort of mix between revenue and spending cuts is possible. Generally the answer was that everything must be on the table. In his talks with various members, Bowles commented that he believed lawmakers are serious about coming to some sort of compromise. It is recognized that doing nothing now will mean real pain later, and that the politics on this issue have improved since the days of the Simpson-Bowles Commission. Bowles ended the discussion by noting that, from his experience, it is easier to get political support for a more comprehensive plan than it is for a plan that is small in scope. The second panel at Wednesday’s event addressed the public responses and special interests involved if a "Go Big” approach were taken. The panel began by addressing whether the American public is prepared to “Go Big.” Almost unanimously, the panel members agreed that the public is not ready to “Go Big” due to a preoccupation with the stagnant recovery and sluggish job growth. However, the members also largely agreed that the public needs to be educated about the issue. Domenici stated it the strongest, “We must convince the American people that the future of this republic is dependent on us fixing this problem.” Educating the public must be done through the leadership of Congress and the President, whose guidance is needed to marshal public support for a “Go Big” approach. As panel member Charles Kolb suggested, “We’ve got a short-termism problem with the American people,” however, this problem can and should be remedied by a government-led campaign to educate the American public about the long-run outlook of the American economy. Kolb was also a bit skeptical about Congress’ ability to avoid the influence of special interest money that is going to flow as the Super Committee continues. In his opinion, money in politics is really a big barrier to reaching agreement. A common thread throughout the panel was a discussion of how to support the Super Committee to "Go Big." Panelists addressed the need for a collective approach to putting everything on the table, which would avoid isolating individual members and leaving them as scapegoats for special interest groups. Part of this collective action means providing support for the Super Committee to "Go Big" from as many different sectors as possible. Former Congressman Dave McCurdy chimed in with his belief that a larger more comprehensive plan has a better chance of garnering support than a smaller one. However, as Stern pointed out, support is merely a precondition to action. The Super Committee needs more than the lofty idea of support, they need endorsement and cover in order to overcome their political considerations and present a plan that will stabilize the debt and tackle its long-run drivers. Domenici later added that those who did step up to address this challenge will be seen as heroes. 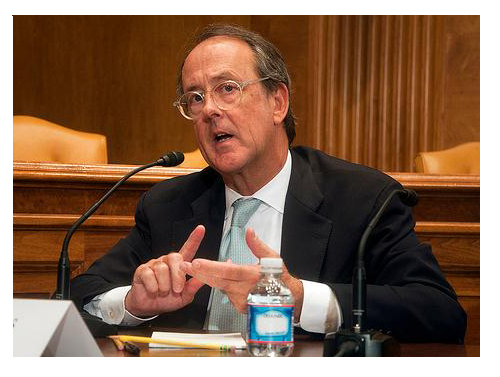 Former House Budget Chairman John Spratt agreed that the public needs a lot more education on the magnitude of the problem and the implications of doing nothing or only the bare minimum. He reflected that the budget deals he was a part of in the ‘80s and ‘90s came in the face of much smaller deficits than in the current case, and that there were multiple attempts then before they truly achieved meaningful success. MacGuineas took issue with the perception that the public is not ready for a "Go Big" effort – giving them more credit for their understanding of the problem. But she agreed with skepticism about whether Congress is ready for the big reforms being discussed. Following up on this point, Domenici pointed out that to be serious about solving the problem, the health care cost curve must begin to be bent downwards. Any plan that does not address health care is not credible. Domenici concluded with a dire warning about the future of the country absent a big plan that addresses all issues, but especially health care. MacGuineas followed up again with a note of optimism based on the continued efforts stemming from the ongoing discussion of the Simpson-Bowles and Domenici-Rivlin task forces. Bill Novelli added some optimism as well, based on past efforts educating people about the variety of options for fixing Social Security. Beginning with Greenspan, moderator Cook asked for the economic argument for going big, and what should be the right target. Greenspan responded that the proper target was “north of $4 trillion,” further noting that there’s a tendency within government to underestimate the problem. He was very specific that entitlement programs represent the biggest part of the problem and need to be addressed. Stockman agreed, adding that he thought the proper target was closer to $10 trillion, and that focusing just on the ten year window is a mistake. In Stockman’s opinion the economy is actually much worse than what the typical metrics indicate. He was cynical about lawmakers’ ability to compromise on things like taxes, Social Security and defense spending. Many panelists took the opportunity to lament that Simpson-Bowles didn’t get more support, and that the President could still support the package of reforms contained in their plan. MacGuineas steered the panel back to the question of developing a smart, pro-growth, multi-year budget and debt reduction plan that doesn’t negatively impact the struggling economy. Greenspan pointed to one example proposed in the Simpson-Bowles plan of eliminating tax expenditures as especially clever. At the same time, he warned that Congress must act before a bond crisis forces action after it is too late, and that in any event there will be economic and political pain involved. Former Michigan Governor John Engler echoed an earlier sentiment, saying that a bigger plan might be easier to get support than a smaller one. He also echoed earlier comments of the enormous opportunity Congress has with the special structure of the Super Committee, urging them to go beyond the savings mandate and really design some creative reforms. Former Congresswoman Jane Harman expressed her disappointment in the opportunities missed by Congress and the President after the release of the Simpson-Bowles Commission plan, and the later opportunity presented by the debt limit struggle. Stockman was somewhat cynical in his closing remarks, arguing that a lot of people in Washington, DC don’t recognize the size of the problem, and they need to get over the fact that at some point you’re going to need to raise taxes, saying “history shows you have to pay your bills.” That being said, he was realistic about Congress being unlikely to allow all the tax cuts to expire. He noted that the looming annual deficit “cliff” is huge, and unavoidable and something has to be done and it is better to be proactive. Across the three panels, there was universal agreement on the need to “Go Big,” without delay. Without action, panelists argued that circumstances and external forces will eventually force lawmakers’ hand. A better route would be to make some tough choices now that begin a longer-term path to sustainable levels of debt and a return to more manageable annual deficits, and perhaps eventually even a balanced budget. Again, universal agreement was that doing nothing is not an option.